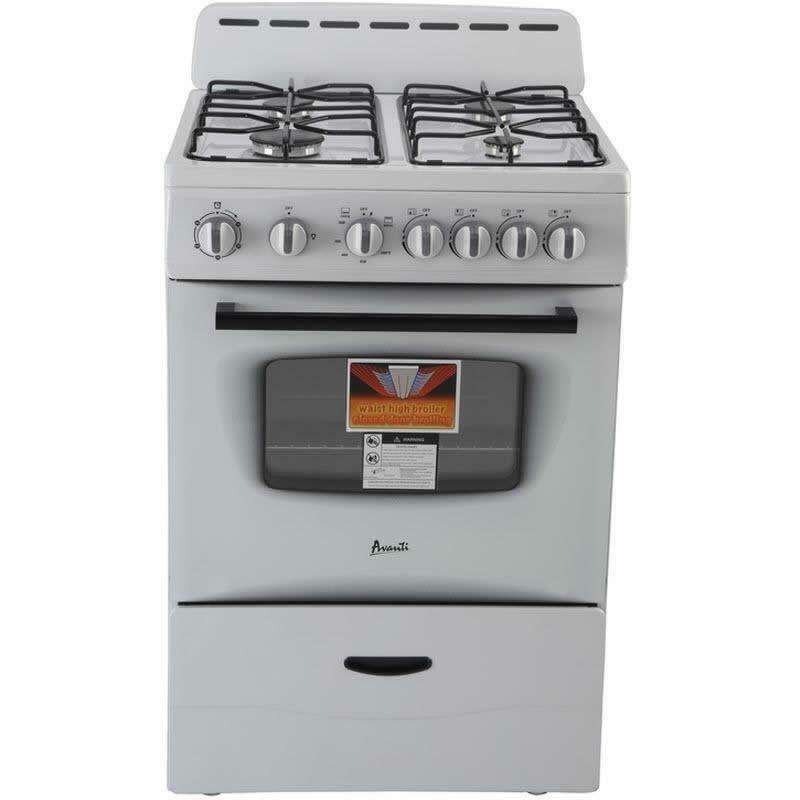 Avanti freestanding 24-inch gas range features automatic electronic ignition, see-thru glass oven door, 60 minutes timer, waist high broiler and four sealed burners. A stylish backsplash protects the wall behind your range from messy splashes. 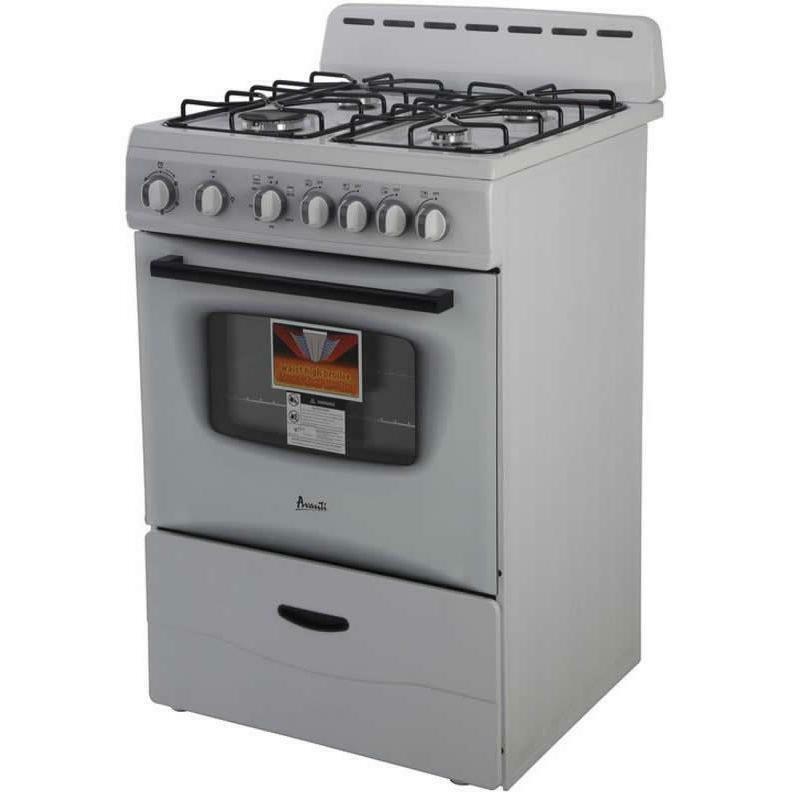 Store pots, pans and other cooking accessories in the range's spacious storage drawer.